I don't buy many books. I plan to order a copy of my own. It's that good. 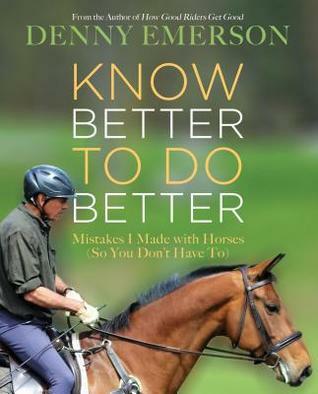 Denny Emerson's name may be familiar to readers because he's a famous 3-Day Event rider. Others may know him because of his extensive endurance career. He's has been riding horses longer than most readers of this blog have been alive. To hear him tell it, he's learned a few things along the way.